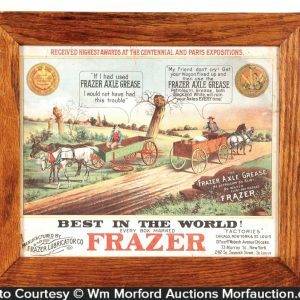 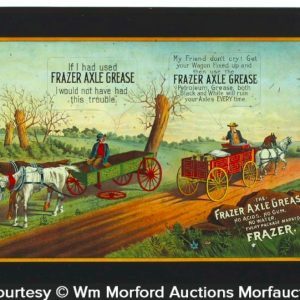 Early tin litho grease can for Frazer brand axle grease, featuring comical, nicely detailed image of broken down wagon. 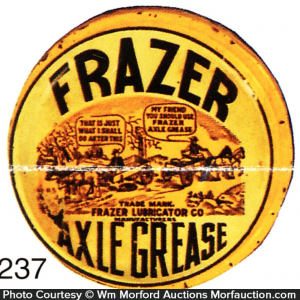 SKU: 77-107. 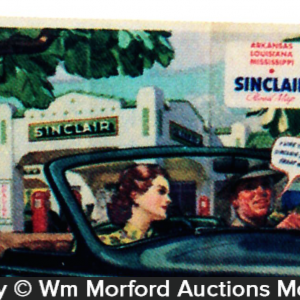 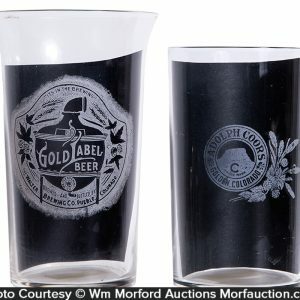 Categories: Antique Tins, Oil and Gas, Oil Cans. 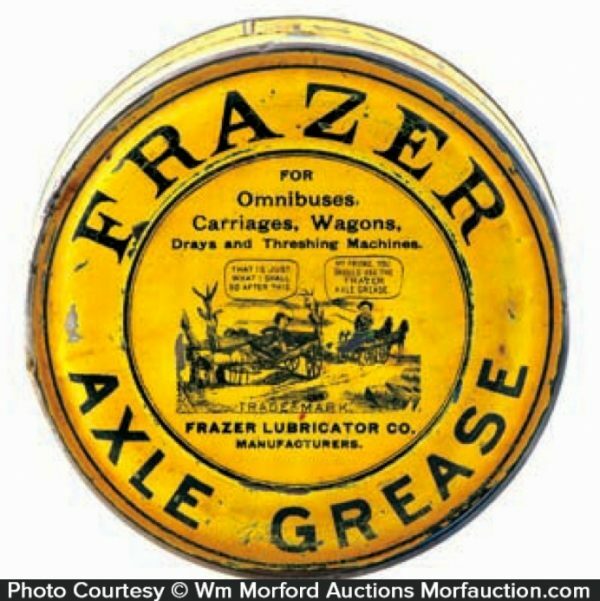 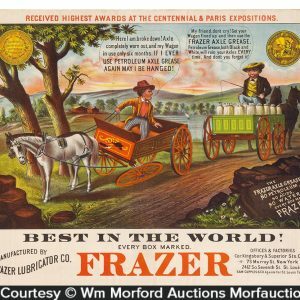 Company/Brand: Frazer Axle Grease, Frazer Lubricator Co..
Frazer Axle Grease Tin: Early tin litho grease can for Frazer brand axle grease, featuring comical, nicely detailed image of broken down wagon. 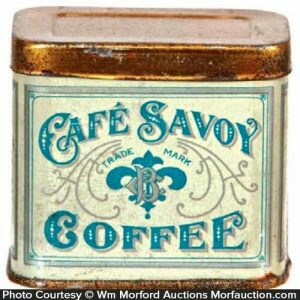 Attractive and displays nicely, w/ some wear and loss along outer edges of lid (C. 7.5).